Australia have beaten neighbours New Zealand in a thriller. 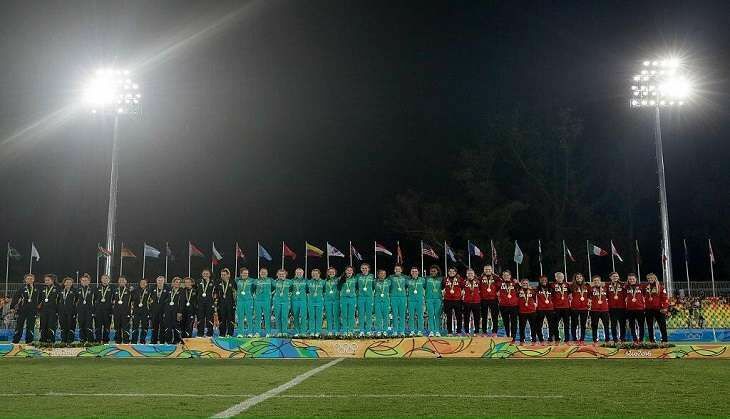 The first Olympic gold medal awarded in women's rugby sevens was awarded to Australia afer their 24-17 victory on Monday, 7 August at the Rio Games. Australia became the sports first champions in 92 years. Australia were the favourites and they proved so. They outscored the Black Ferns four tries to three. Two of those came while New Zealand's Portia Woodman was in the sin bin. Briain's women missed out on an Olympic bronze medal as they were outclassed by Canada 33-10. Canada, who had lost to Great Britain in the pool match, never looked like relenting in the bronze medal match. Great Britain captain Emily Scarratt said: "If we've inspired any girls to take up rugby, we've done our job." The men's sevens competition begins on Tuesday in Rio with Australia against France.